Last year I asked for people to send in their stories of how they aren't letting their "genetics" be an excuse. Read my "rant" HERE. It makes me so frustrated when people use excuses like this as a way to both justify why "they can't" look a certain way. It equally frustrates me that people use it as justification as why someone else my be blessed to look another way. 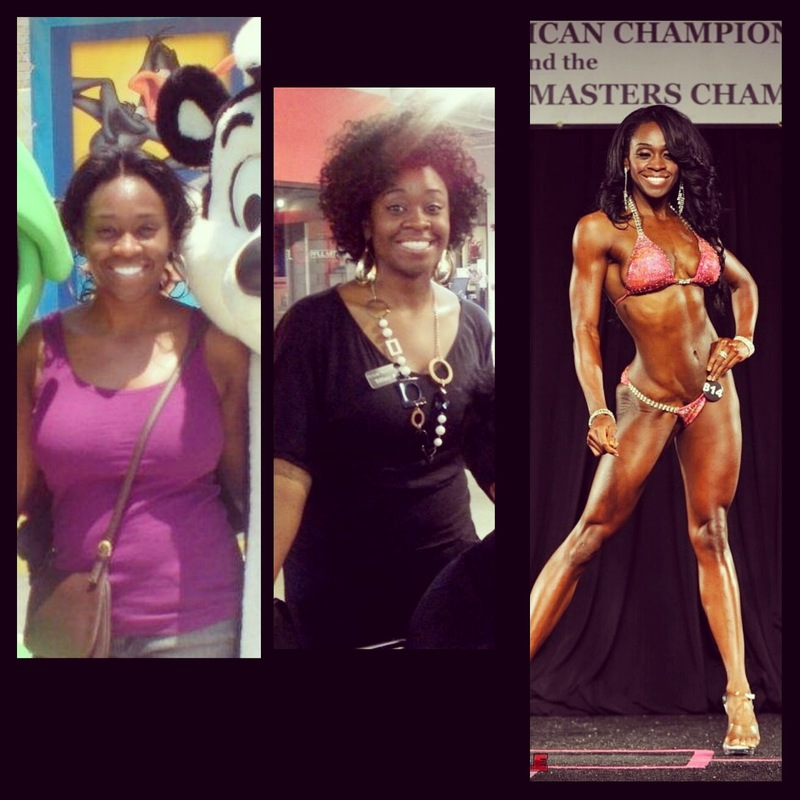 This week I am featuring a sweet gal that I had the honor of meeting at my very first competition - The Flex Lewis Classic!! 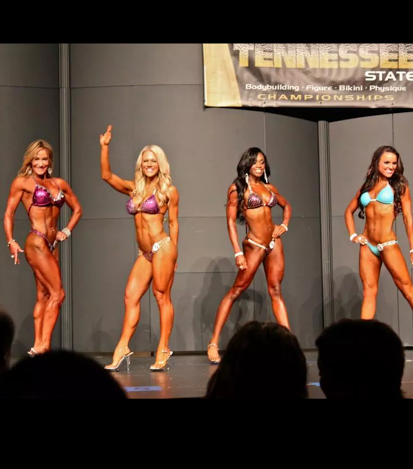 We also competed together at the Tn State Championships and we finally go to chat a little more and then became friends over Social Media (like much of the #FitFam). This pic is us sharing the stage together (Tiffany is to the right of me). We are in different height classes so that usually doesn't happen! This was at State when they brought us all out to "wave" at the beginning of the show! Tiffany and her boyfriend are such amazing people and MOTIVATORS! In fact .. I already featured her boyfriend Courtney. You can read his story HERE. Tiffany is such a role model and yet another example of how HARD WORK beats out the genetic excuse any day!! Congrats Tiffany ... you've got this Pro Card baby! You deserve it girl!!!! Looking back over the years I've come a LONG way!!!! At my heaviest I was 170 pounds. I lost the weight gradually developing a healthy lifestyle along the way. I made it a everyday goal to be change. I made a choice to change my life to live healthier, and now my future is so bright. God ALWAYS has a plan for us even if we can't understand or see what's in store. I've stuck to my guns and trusted him, and grinded it out regardless of the comments positive or negative. I've stayed humble and focused on becoming better everyday. I'm the happiest I've ever been, and so ready to do damage next year to get my Procard.